Purpose designed crates for the robotics and computer hardware industries. The crates are designed after detailed discussions with the client. 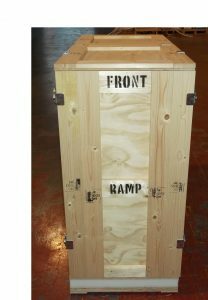 The crates can incorporate ramps, shock bases, 4 way entry for lifting, anti-static shrouds, shock indicators, foam lining for unit protection and locating the unit in the crate. Exterior stencil Company Logo applied. 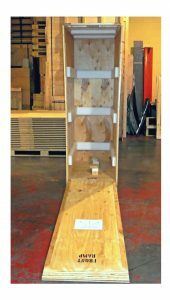 All timbers used will comply with ISPM 15 regulations. Built to ship servers or robots. Delivered ready to use. Ensuring the safeguarding of your items is our first priority. Precision: it’s in our name.